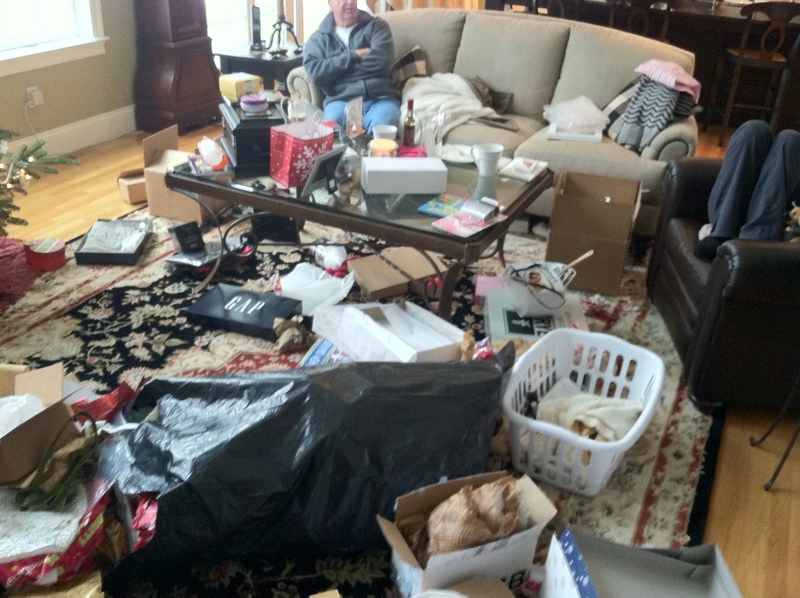 A Christmas tornado touched down in Medfield today. For anyone who knows my father-in-law you realize what an incredible gift he gave us by letting us make this mess. Rest assured it wasn’t easy for him and he’s already set about cleaning the place up!